1. You have to face different kinds of zombies, keep calm and observe them to figure out their weak point, then smartly deal with them based on your situation. 2. You will meet other survivors; your choices will decide what will happen and what kind of ending you will have. 3. You’d better make a good study plan so that you can build a safer shelter, develop powerful weapons, cook more delicious food. 1. Avoid eating lousy food, or you will die faster. 2. Keep in mind that you are not a hero in front of zombies, just run away when you should. 3. Try to sleep in a more comfortable bed. One anti-cancer drug research institute announced that they had found the key of eternal life, Faith Energy company then activated the Human X plane, but the vaccine failed, and all infected human turned into zombies, and the area where you live, has been severely affected. To survive and find out the conspiracy behind, you begin your exploration. The poor beautiful mother and her daughter in the police station, the doctor in Smith Hospital, the cunning liar, the mentally disabled fat man, the jealous queen, and the twin brothers with an entirely different personality, do you want to see all of them be alive at the end? At what cost do you want to pay for that? The tapes, newspaper, magazines, and files you found during your exploration, will have what kind of secrets behind? Can you get the password to the escape gate with your wisdom? * Multiple endings with full of mysteries and surprises, which one is the truth? * Thought-provoking choices during your conversation with other survivors make your journey to be full of uncertain. 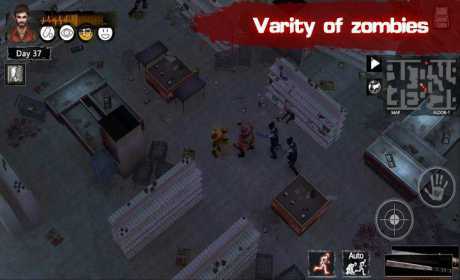 * Over ten kinds of zombies with specific skills and four ultimate boss monsters are waiting for you. 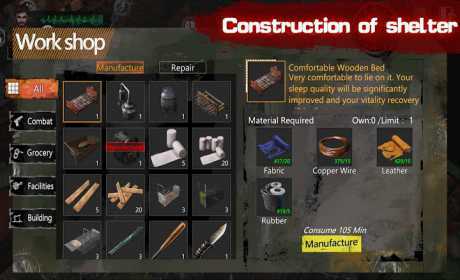 * Study system and workshop offer varied strategic choices, try to build a safer shelter now! 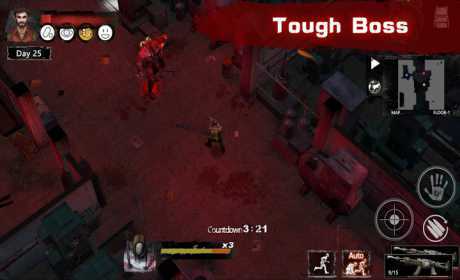 * Different kinds of weapons and particular sneak-in system provide you with better combat experience.